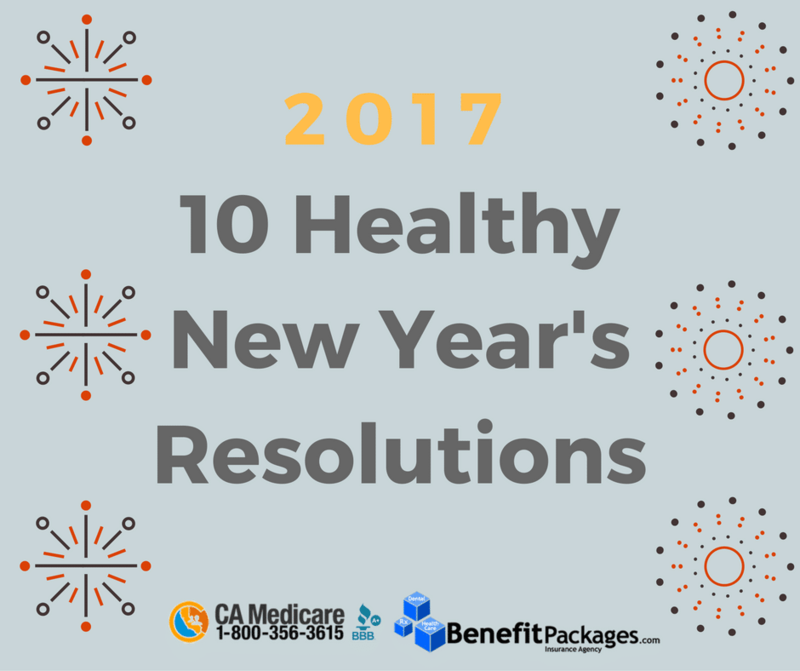 2017 is here and it’s time to start working on your New Year’s resolutions. Whether it’s setting personal goals for your health and wellness or setting financial goals for your work life, every New Year’s resolution is a valuable part of your overall wellbeing. At Benefit Packages, our team works hard on providing you with the opportunity to save time and money on a health insurance plan so you can focus on your physical and financial wellbeing. Here are 10 ideas to help you get started on your New Year’s Resolutions! Find an exercise that you love and stick to it. Exercise doesn’t have to be a grueling task. Instead of setting a goal to get in shape, set a goal to find an exercise that you love and stick to it. Sign up for free first classes at gyms and studios, and find exercises that you can stick to for 3 to 4 days a week. Don’t procrastinate your doctor’s appointments. Put it in your calendar and write it down. Ensure that you are always on top of your 6 month checkups with your primary care physician and dentist. Be sure to stay on top of any procedures you need to do, and communicate with your doctors about any health concerns. Take some time to sit down and look at your expenses. Find easy ways to cut down on your spending and ask yourself if you purchasing an item will add value into your life, if it doesn’t, then you most likely don’t need it. Stress can be a huge factor in your overall health and wellbeing. Employ the help of your family and friends to help you get through stressful times. By working out solutions to stressful situations, you can keep your mind clear and work on your communication skills. You can also reduce your stress by using free app, such as Headspace for meditation and schedule an appointment with a therapist through your health insurance to take care of your mental health. Turn off your phone an hour before you sleep and focus on getting those Z’s. Also, work on setting nightly routines to help you achieve better sleep. Get some comfy pajamas, brush your teeth, put on some relaxing essential oils, and unwind. Find fun art activities you can do at home. Start by visiting your local art store and find fun activities that you can enjoy. Pick up a new craft like knitting, crocheting, painting, and more. Whatever it is, make sure it’s fun and relaxing. Give yourself credit for the good in your life. Constantly remind yourself of things you are grateful for and practice gratitude like it’s your full-time job. Practicing gratitude is a great way to flex your brain muscles. Instead of focusing on fad diets, and eating healthy, learn to be more mindful. Focus on foods that will give you energy and help your overall wellbeing, but don’t forget to treat yourself. Also focus on purchasing produce from your local farmers market as a way to practice sustainability. Stress can also be ignited by being late. Work on giving yourself ample time to make it to your destination. When you arrive at your destination on time or even a few minutes before, you can then focus on the objective at hand, versus feeling overwhelmed. Work on practicing self-care a few days a week. Set dates to do things that you love and make it a habit to treat yourself to things that you make you happy. Whether it’s setting times to enjoy a nice bath or even cooking a good meal, self-care is always a great way to keep practicing your overall health and wellbeing.